1st album of Firo,his electronic gardens.The remaster(DESR016) including "C419(Dragon ascending)" as bonus track. Firo - One of Those - 3:19 � 00.00 Buy this Song ! 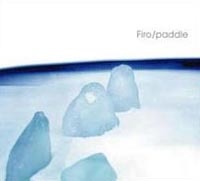 Firo - paddle - 7:06 � 00.00 Buy this Song ! Firo - Stereotape - 5:23 � 00.00 Buy this Song ! Firo - SwNH - 6:17 � 00.00 Buy this Song ! Firo - Osmotic - 4:05 � 00.00 Buy this Song ! Firo - ID-idea - 5:01 � 00.00 Buy this Song ! Firo - C419 - 5:45 � 00.00 Buy this Song ! Firo - Open Meadow - 3:51 � 00.00 Buy this Song ! Firo - C419(Dragon Ascending) - 5:28 � 00.00 Buy this Song ! Firo - Stereotape(#505_ii) PsysEx Remix - 4:28 � 00.00 Buy this Song !